DESCRIPTION Looking for great value and a fantastic investment? This is it! The main floor has been EXTENSIVELY RENOVATED. The kitchen is appointed with NEW GRANITE counters, ceramic back splash, UNDER MOUNTED sink, shaker style cabinets, and NEW STAINLESS STEEL appliances. Charm has been RESTORED by refinishing the existing HARDWOOD floors and ORIGINAL WOOD BURNING fire place. To maintain efficiency and look, NEW WINDOWS, BASEBOARDS and paint throughout have been installed and applied. To add more value to this home, there are 4 LARGE BEDROOMS on the main floor, and 2 fully RENOVATED bathrooms. The MASSIVE PIE SHAPE lot and ENORMOUS YARD is perfect for entertaining. The basement has 3 large bedrooms, spacious living area and a large kitchen with a ton of storage space. In the common area, you will find additional storage space, generous size mudroom entrance to the basement and a washer and dryer. DO NOT MISS THIS OPPORTUNITY, call to view today! Home for sale at 235 Penbrooke CL Se Calgary, Alberts T2A 3N9. 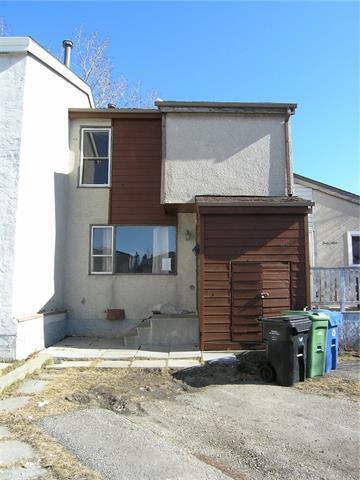 Description: The home at 235 Penbrooke CL Se Calgary, Alberta T2A 3N9 with the MLS® Number C4223363 is currently listed at $399,900.